In many cases, people who require orthotics assume that they can’t wear flip-flops or sandals. Thankfully, this isn’t the case, as a range of options exist that allow you to get the support that you need with the comfort that you desire. In fact, there are several companies that offer sandals with removable footbeds and, even better, companies that manufacture flip-flops that include a prefabricated orthotic. In this post, we’re going to look at why you should consider adding a pair of orthotic sandals to your closet this summer. Orthotic sandals provide more support, better cushion your heels and help to realign the feet. Without this, you risk serious – and painful – issues, including plantar fasciitis. Since they realign your feet, orthotic shoes can help to resolve a range of foot issues that you’re experiencing and, over time, help to alleviate foot pains and ongoing discomfort. Especially if you are diabetic, orthotic shoes allow your feet more breathing room. As a result, blood flow increases, pain decreases and the effects of diabetic neuropathy can be lessened. Chronic foot pain due to foot-related issues, including plantar fasciitis and heel spurs, can make walking a painful, unpleasant experience. Orthotic sandals provide a looser, more comfortable fit that alleviates the effects of these issues and increases comfort. 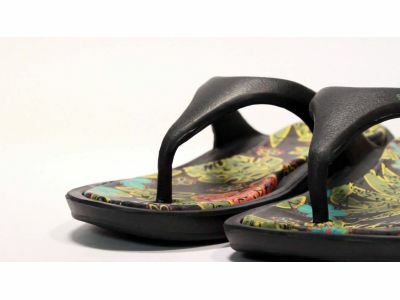 At Corey’s Bootery, we carry several lines of orthotic sandals, including industry leaders like P.W. Minor, NAOT and Orthoheel. These lines, some of which are created by leading medical professionals, aim to make moving, walking and, of course, living much easier and much more enjoyable. More importantly, however, all of these options are affordable and accessible to most people. If you want to get outside this summer, hit the beach and sport a flashy new pair of orthotic sandals, stop by today and take a look at the range of options available at Corey’s Bootery!